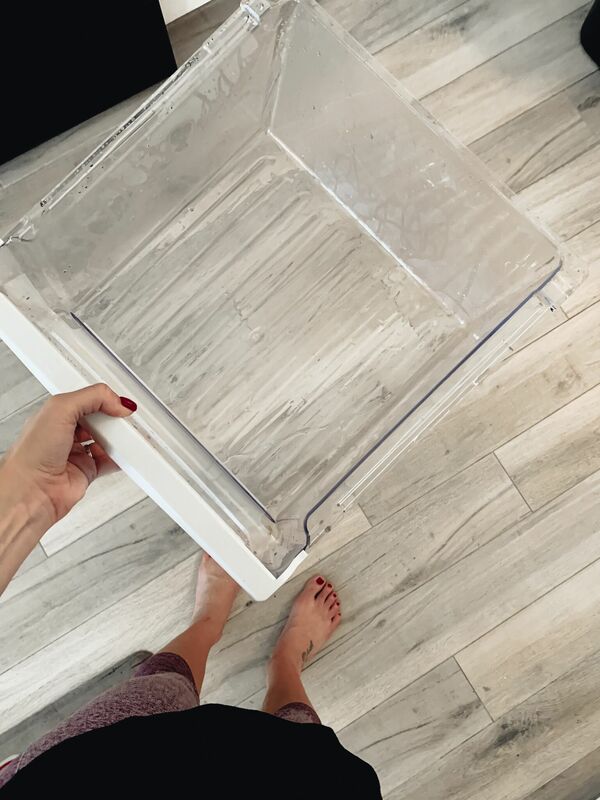 If you know anything about me, you know I love organizing and I love decluttering. 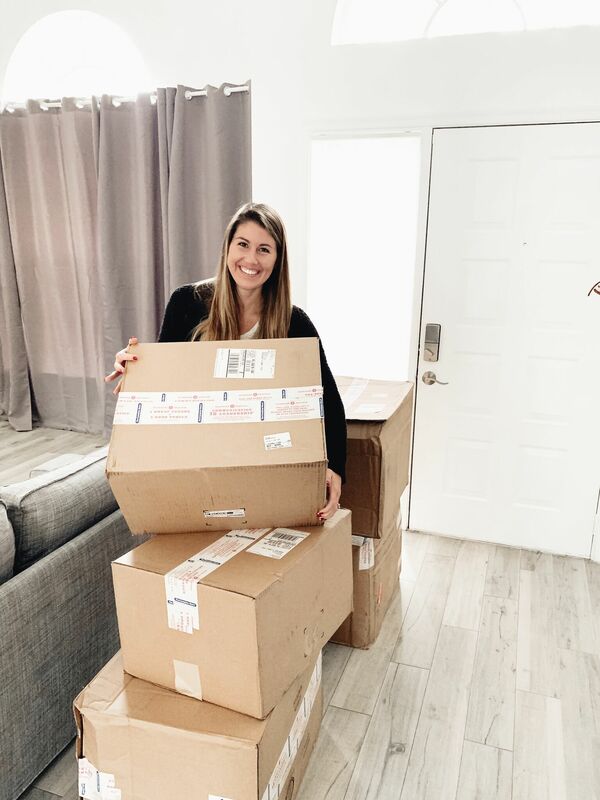 You’ve probably heard of Marie Kondo and the whole Konmari method, right? I read her book when it first came out and have been on the Konmari train for a while. It was a system I could understand and I saw results the second I started it! I redid the whole house from the kids toys to our closets and bathroom. 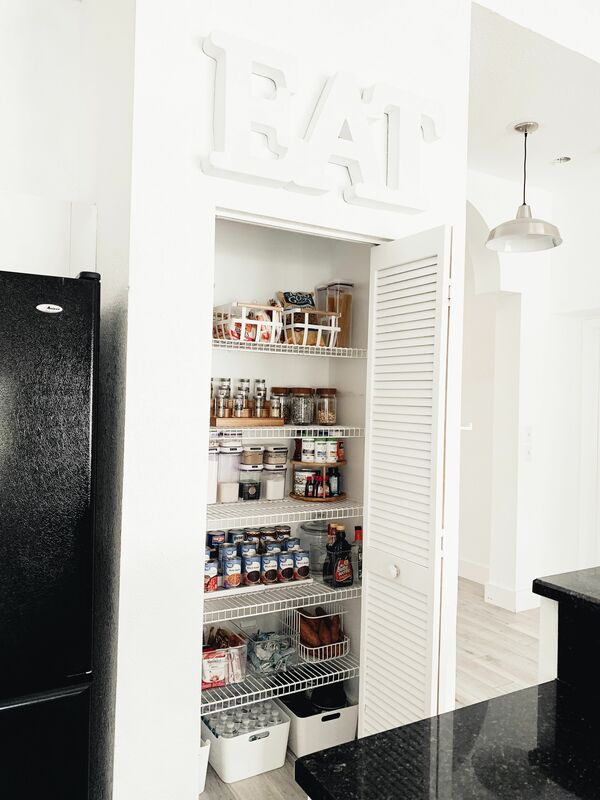 But I never did our pantry and fridge – until NOW! 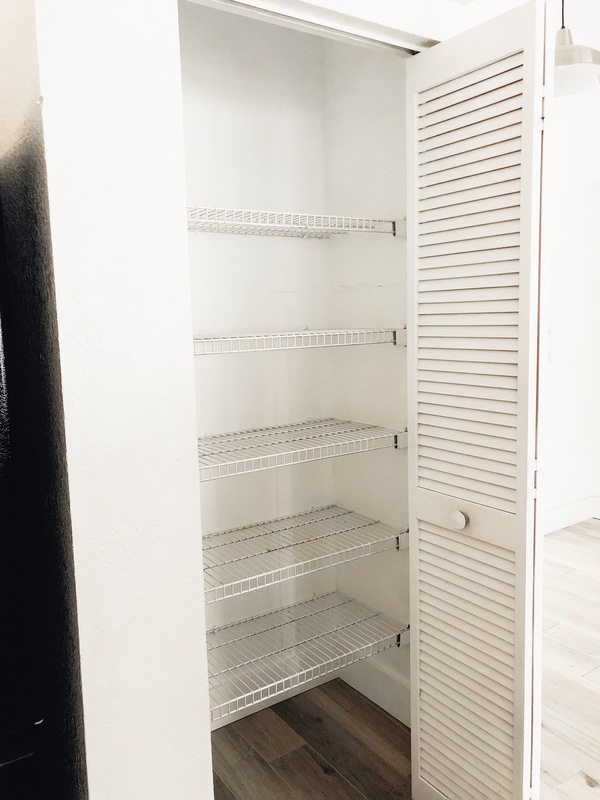 I just finished with our pantry and fridge makeover and I am so happy with it! There is nothing better than wanting a snack and knowing exactly what you have and where everything is. 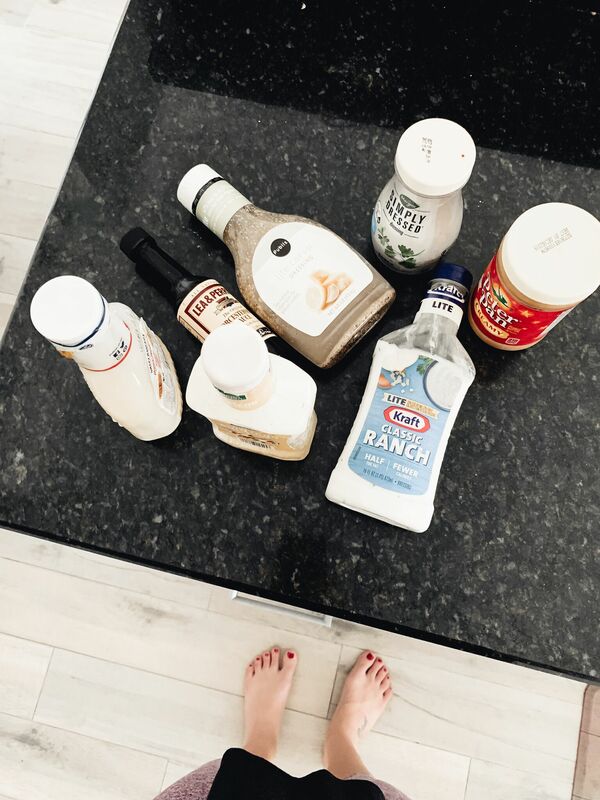 This project has made cooking SO MUCH EASIER, not to mention we’ve saved a ton of money of groceries simply because we discovered tons of ingredients we didn’t know we had. Are you ready to see the before photo? Please don’t judge – ha! I promise it’s not usually this bad, but at this point, I hadn’t done a proper clean-up in a while and it really looked bad. Here is the after. My minimalist heart is SO HAPPY. 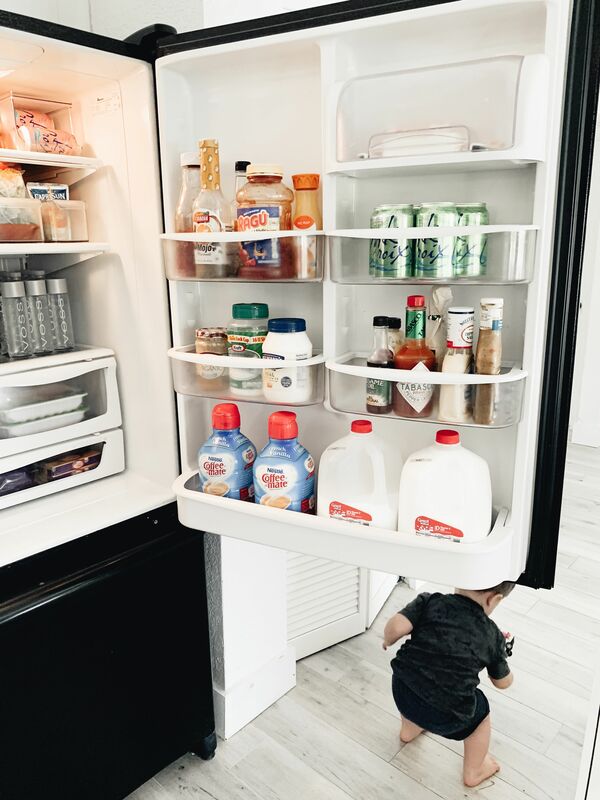 Completely overhauling your fridge and pantry takes a couple of hours and a few must-have products, but I’m going to walk you through it all – exactly how I did it! 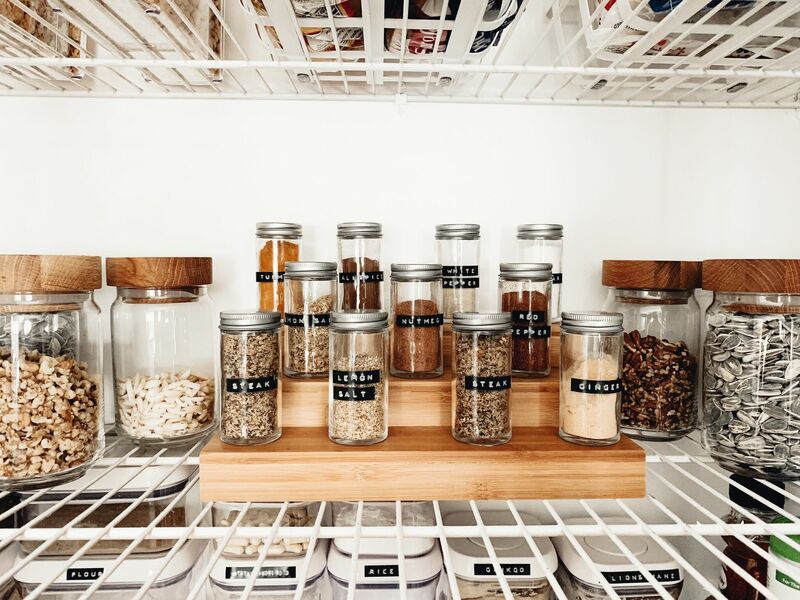 There is no better time than now to tackle your kitchen projects because The Container Store’s annual Kitchen Sale is going on now through April 7th. You can get 25%-off hundreds of kitchen products you need to accomplish any of your kitchen projects. 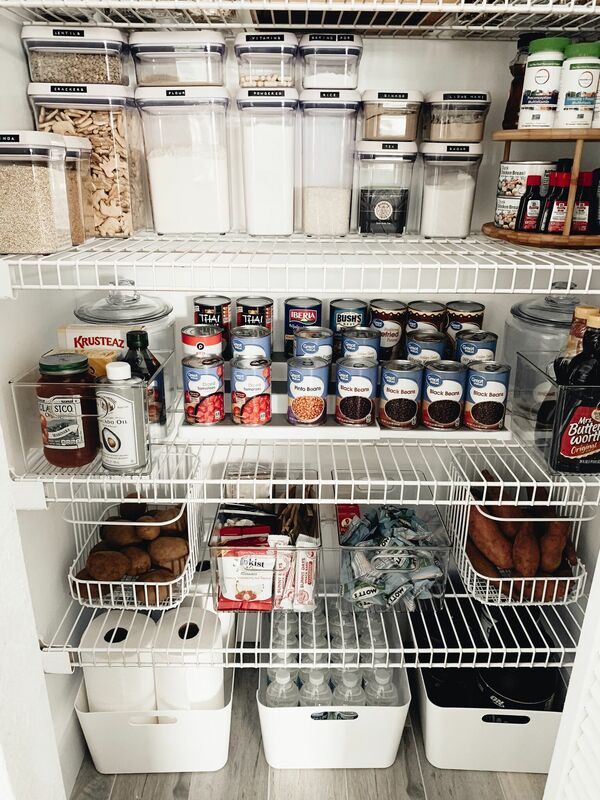 Everything we used in our pantry and fridge makeover was from The Container Store. 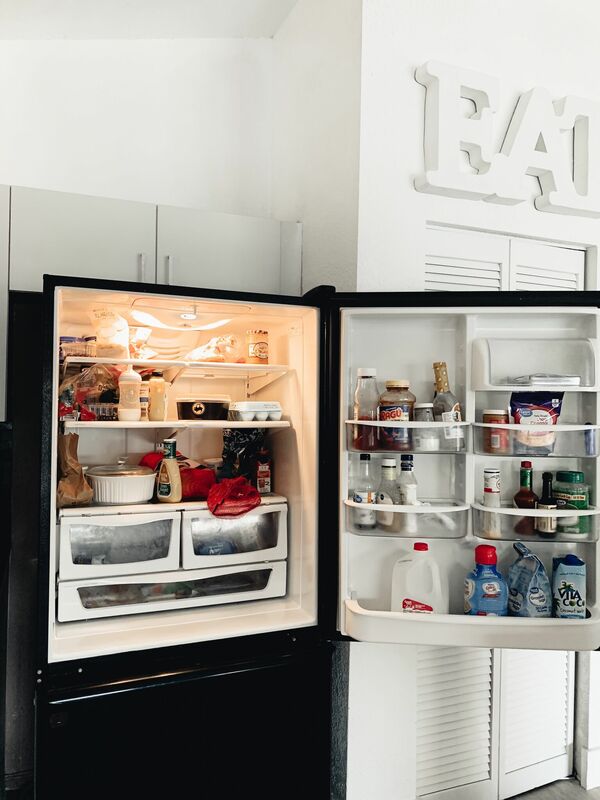 1 – Clean it out // Just like the Konmari method, you have to literally take EVERYTHING out of the pantry and fridge. Throw away everything that is expired or things you just don’t eat anymore. I’m a tiny bit embarrassed to mention this, but we had some old canned goods that were like years past the expiration date. EW. I also wiped everything down to give it all a fresh new start. This felt sooooo good. 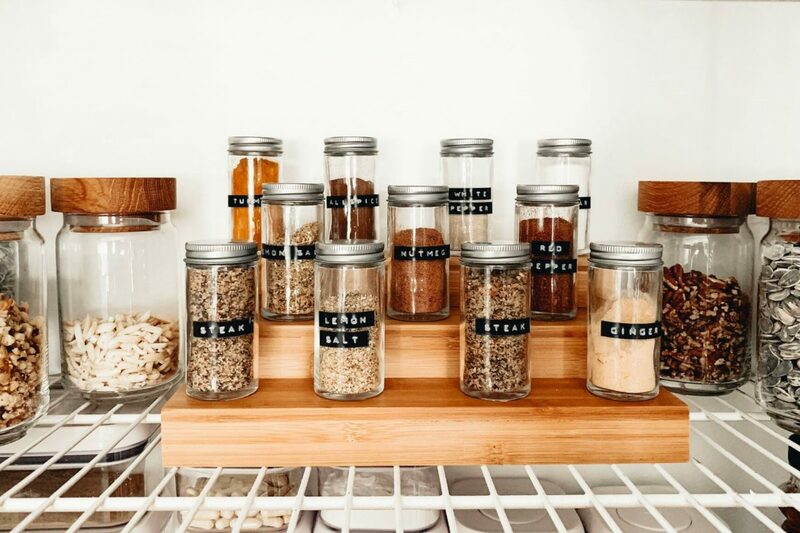 2 – Select & fill organizers // Move most of your pantry items into canisters and bins. This honestly made the biggest difference in our kitchen makeover. By transferring food into see-through canisters and containers, you can actually SEE what items you have. And – they keep your food super fresh! 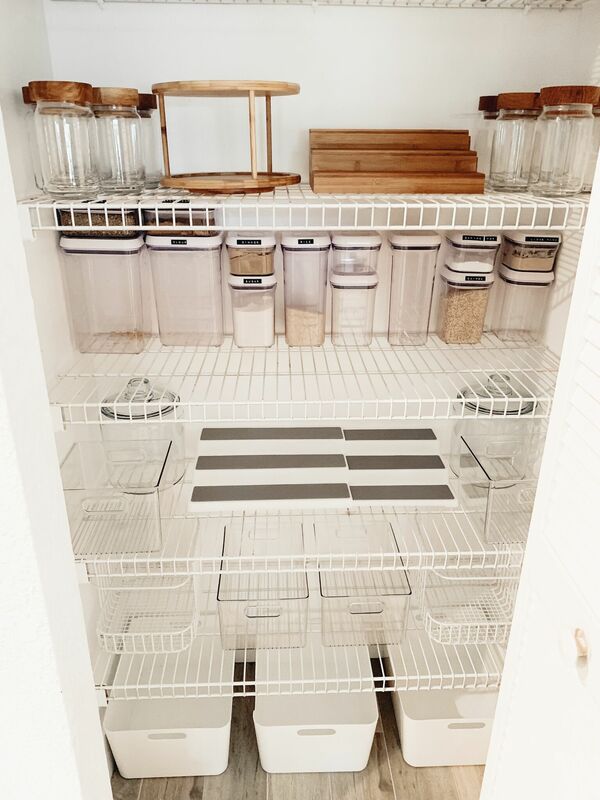 Also, the containers are stackable, which makes organizing the pantry + fridge a breeze! 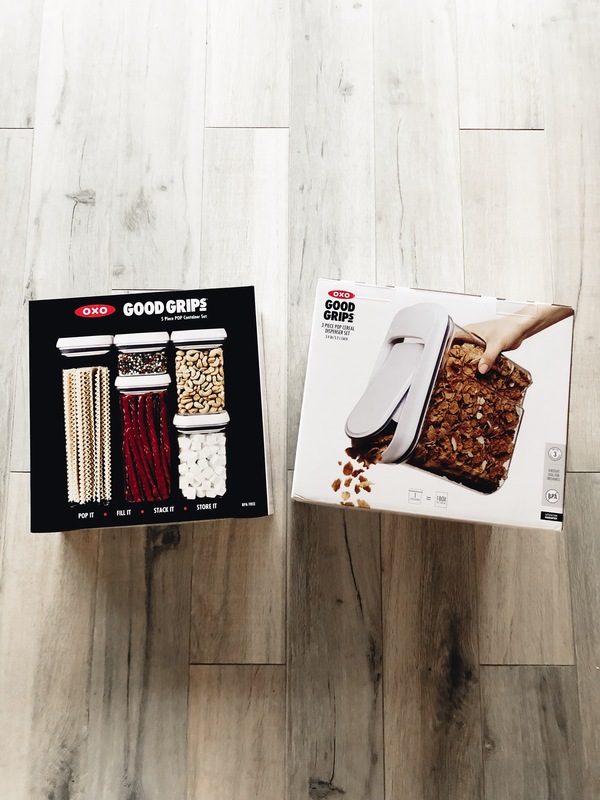 I love everything at The Container Store, but some of my favorite bins/containers are The Artisan Jars, The OXO Good Grips POPS canisters , and The OXO Pop Cereal Dispensers. 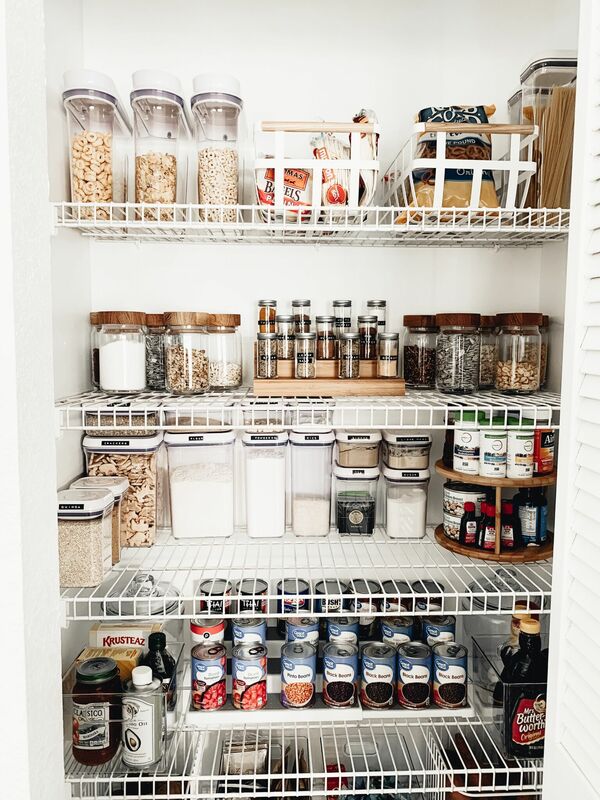 3 – Zone out the space // I took all of my bins, canisters, jars and containers and made zones in the pantry and fridge. Basically, you want to keep foods that are similar together. 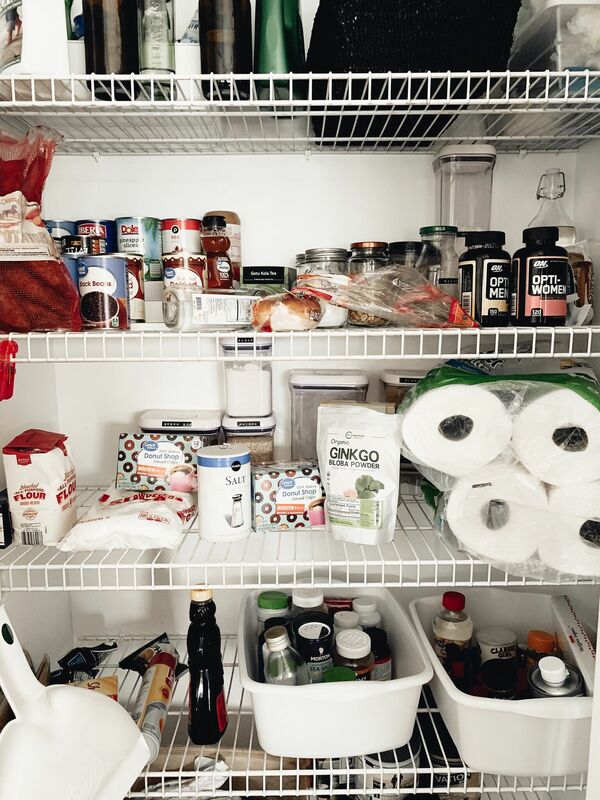 So, decide where you want your canned goods, breads, dry pantry staples, and cereals to go. This step was tricky, but I think it was the most important. It took me a few tries to get the containers to be in the right spot that made sense, but once I did this, everything fell into place. I wanted the pantry and fridge to not only look great, but be super practical. 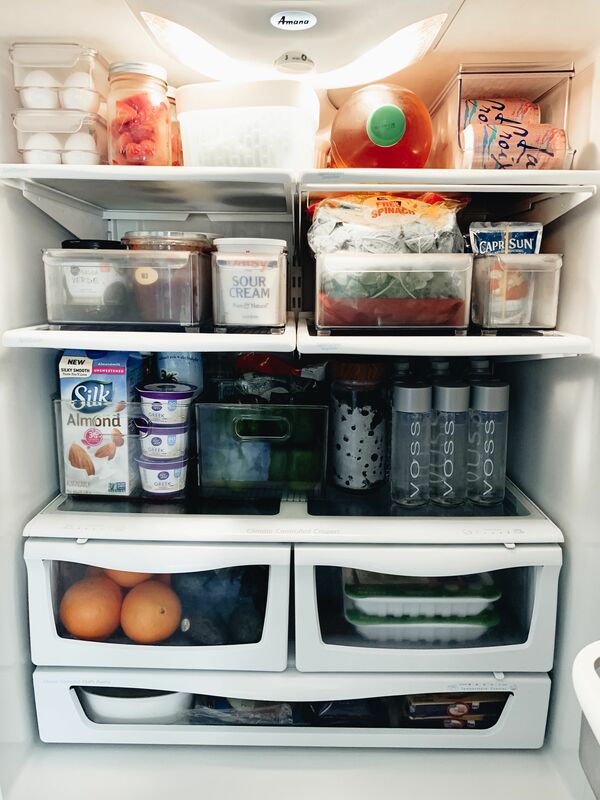 4 – Keep everything visible // We had a big problem of not using all of our groceries, simply because we couldn’t SEE them! One tip is to keep your food visible. A great trick to this is to use one of those can stackers from The Container Store. You can easily see all of your canned goods at one time! 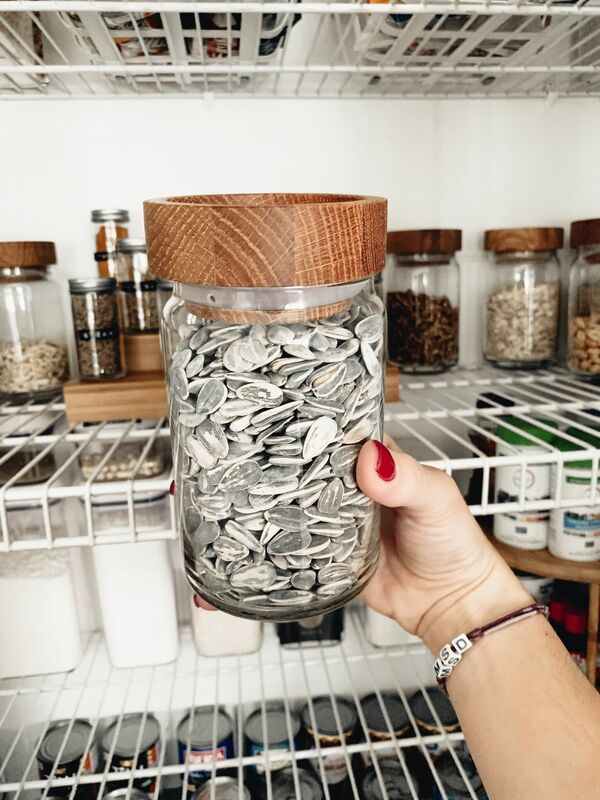 Another tip is to use the OXO containers so that you can stack them in your pantry instead of letting food slip to the back of the pantry. 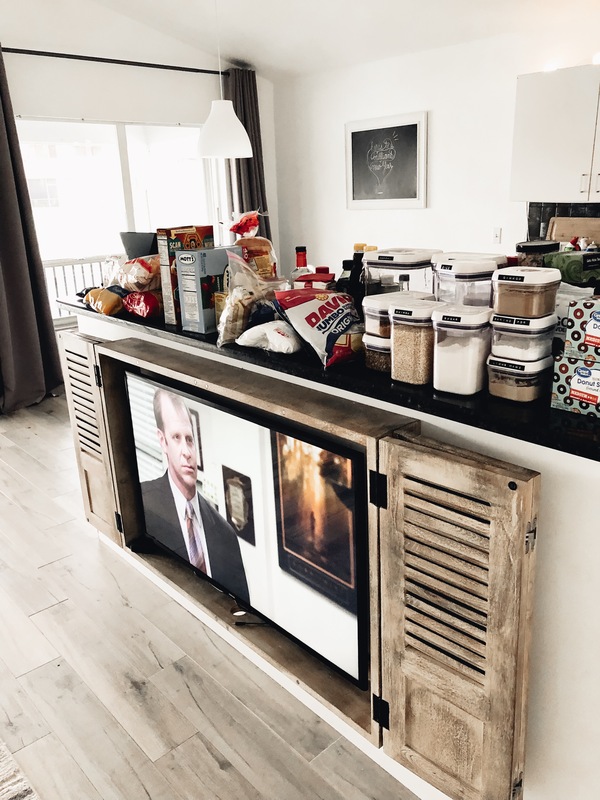 5- Utilize snack bins // One of my favorite parts of the kitchen makeover is the snack bins! I dedicated a few bins in both the pantry and the fridge to be for the kids’ snacks. In the pantry, I made sure to put this bin low enough so the kids can reach it! It also makes the pantry so much cleaner because I no longer have a ton of mix-matched cardboard boxes everywhere. I take the snacks out of their boxes and put them in the snack bin! 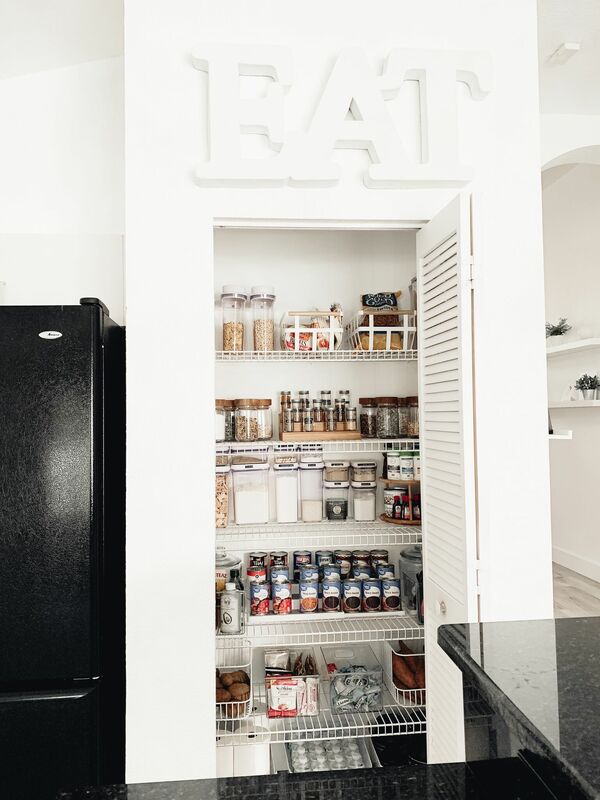 We had so much fun re-doing our pantry and fridge and we are LOVING the makeover! Don’t forget The Container Store’s annual Kitchen Sale is going on now through April 7th. You can get 25%-off hundreds of kitchen products you need to accomplish any of your kitchen projects! 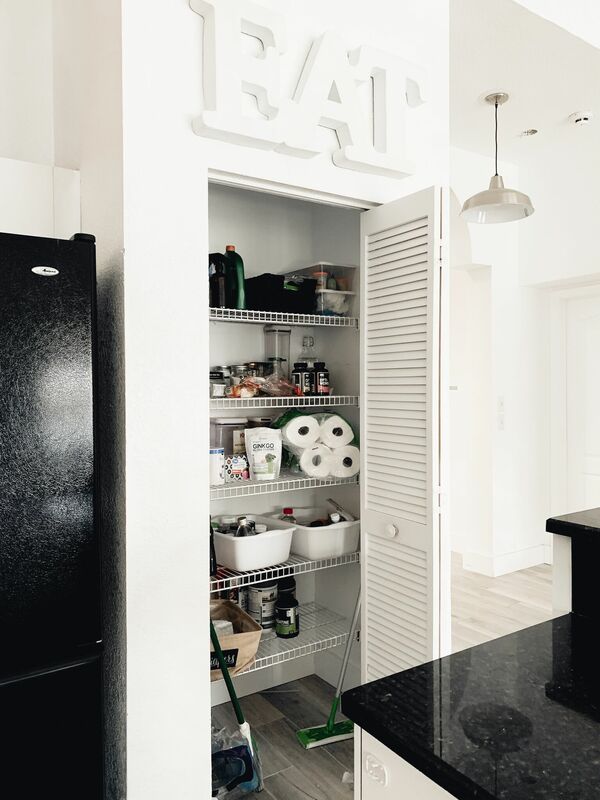 This entry was posted in DIY, SIMPLIFY. Bookmark the permalink.